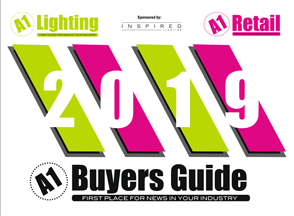 As France’s benchmark event in the lights, lighting and LED technology market sectors, the coming edition of the Lighting Days exhibition on 13th-15th February, 2019 can already count on almost 50 exhibitors and brands being present out of the hundred or so expected. 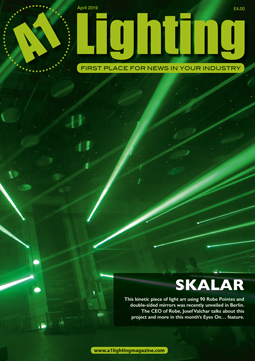 The sector’s trade organizations are gearing up for the event through partnerships with the likes of lighting syndicate “Syndicat de l’Eclairage”, lighting designers and engineers association “Association desConcepteurs lumière et Eclairagistes” (ACE), and the Smart Lighting Alliance (SLA). All these point to an edition full of promise for this new exhibition formula teaming up with BePOSITIVE, the exhibition on the energy and digital transition in buildings and regions. With themes like energy savings, IoT, urban planning, smart lighting, smart building, and of course the smart city, it’s natural for these two events to converge given their complementary interests. conjunction with a scientific committee, will place LED technology at the core of some high quality debates. 4,000 professional visitors are expected—lighting and LED professionals, local authorities, specifiers and influencers, electrical contractors, project owners and contractors—not counting all those who will be popping in from BePOSITIVE. For the congress’s 10th edition, ForumLED Europe is taking place on 13th–14th February, 2019 at Lyon Eurexpo. As a real shop window for innovation across the whole of the LED technology ecosystem, ForumLED Europe has evolved into a standard setter thanks to the quality of its debates, the proficiency of the speakers, and the diversity of participants. This international symposium brings together LED community experts from laboratories, pioneer companies, and specialist public institutes. An extensive conference programme has been drawn up by an international scientific committee comprising Jean-Yves Duboz, director of CHREA–CNRS, Ivan-Christophe Robin, CTO of the CEA’s Display Division–Aledia, Georges Zissis, deputy manager of LaPlaCe, and Margherita Suss, chairwoman of AIDI. The Lighting Days exhibition will be offering a concrete, forward looking programme enabling lighting professionals to learn about the new technologies and applications and pass them on, discuss them, and generally make good use of them. • The lighting engineering transition: natural lighting, energy efficiency, management systems, etc. • Innovation in lighting and new uses: Lifi, shop, office, town lighting, smart lighting, smart cities, smart grids, data, etc. • Training in lighting: regulations, education, comfort/quality, energy savings, maintenance, light pollution, etc. Alongside the above, Lighting Days will be featuring accounts and feedback from project initiators, cities, and light project designers. At the conferences as well as in a dedicated area geared to making contacts, they will come along and present their lighting up, connected lighting, and architectural lighting projects. Feedback, accounts—an occasion for sharing and exchanging ambitious, innovative project experiences and highlighting the rational use of light in public places. A dedicated exhibition area is set aside for IoT and smart lighting start-ups. It will be showcasing exhibiting companies’ new products and features and innovative solutions. It’s a way of boosting the offering and the innovation in the lights, lighting, and LED technology sector. The whole of the lighting sector will be represented at Lighting Days. So far, the Syndicat de l’Eclairage, the Association des Concepteurs lumière et Eclairagistes (ACE), and the Smart Lighting Alliance (SLA) have been enrolled as expert voices at the exhibition in creating content, taking the floor at conferences, organizing exhibition highlights, besides getting their networks involved.